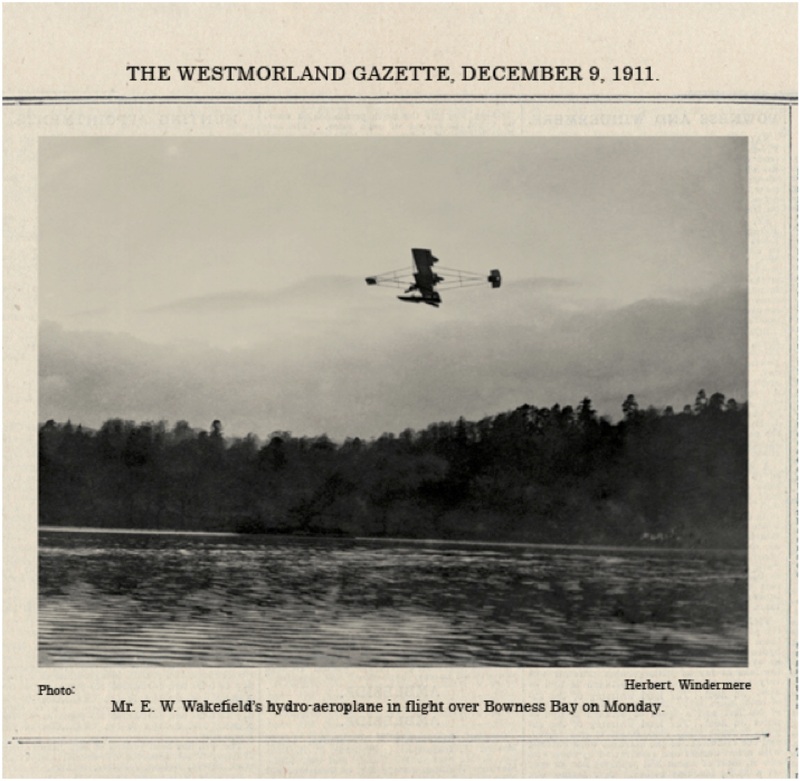 The flight of Waterbird on Windermere has had to be postponed due to technical reasons - the organisers say that they are nevertheless 'tantalisingly close' to being ready to fly. We expect to announce a new date soon. The Member of the SBA coordinating with the Event Organiser is Roger Martin. They have built a replica float plane which will be brought to Winderemere over the weekend of 12/13 September. It will be reassembled and tested on Tuesday and Wednesday. A private reception will be on Thursday 17 September, when Waterbird will fly to Windermere Motor Boat Racing Club's clubhouse at Broad Leys, 600 metres south of Storrs Hall Hotel. Waterbird will alight on the lake and taxi to the jetty at WMBRC. A little later, precise timing yet to be decided, she will take-off, fly close past Storrs Hall, northwards over Bowness Bay and on up to Waterhead, where she will turn and return to base near Lakeside, at the southern end of the lake. Whether she will alight and take-off during that flight is yet to be decided. The organising committee have invited Steam boats to join the celebrations; currently we would be based at Stores Hall, where there will also be vintage vehicles to entertain the public while nothing is happening in the air. However, if many boats wish to come along this may change, as the Stores Hall jetty is small. If you wish to join in, please let me know and I will keep you informed of developments and plans (launching, locations and safe routes etc) which will depend on numbers proposing to come. Please also let me know if you have VHF radio as we expect that Waterbird and all safety-boats will guard VHF Channel 16 and a working channel.